I grew up eating traditional poke (pronounced POH-keh) in Hawaii, typically made with fresh ahi tuna, soy sauce, ginger, lime, toasted sesame seed oil and maybe a little seaweed. It is a delicious appetizer that we would scoop up with One-Ton chips, a crunchy, slightly sweet chip made from wonton dough. There is a cute story about this third-generation family-run business and the grandma who invented the One-Ton chip; you can read about it here. Today there are many variations on traditional poke. 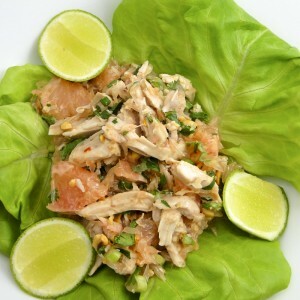 I developed this recipe based on my favorite Thai pomelo salad, a salad that is very common in Thailand, but rarely served in the U.S.. Pomelo salad is typically made with chicken or shrimp, but the Thai flavors work beautifully with ahi. Grapefruit, a cousin to pomelo, provides a vibrant contrast to the creamy avocado and umami-rich ahi. If you like ahi and Thai flavors of coconut, lime and fish sauce, I think you will enjoy this poke. The Thai people don't cut their lime garnishes in the way we Westerners cut lime wedges. See my post to learn the Thai method. I think you will find the Thai method provides an easy way to release the lime juice from the fruit. Thai cooking focuses on attaining a balance between sweet, salty, sour, bitter and spicy flavors. 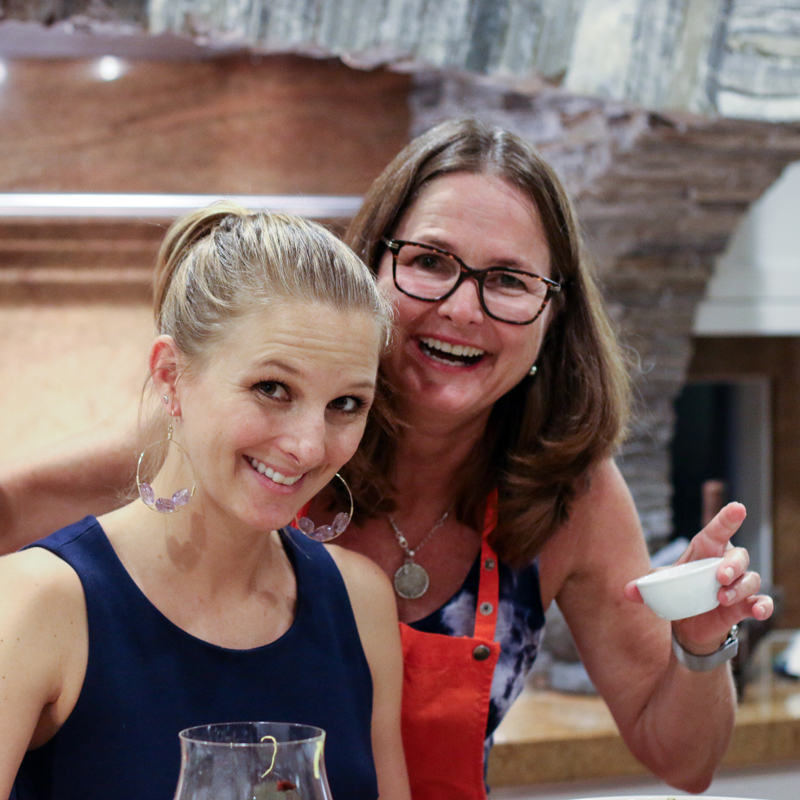 The precise balance is very individual, so it is important to taste as you cook and adjust to your personal liking. A Thai-style variation on traditional ahi poke made with avocado, grapefruit and a Thai-style marinade of coconut milk, fish sauce, lime juice and Thai red curry paste. Make the sauce by combining the first 9 ingredients. Stir to combine. Taste and adjust flavors to your preference. 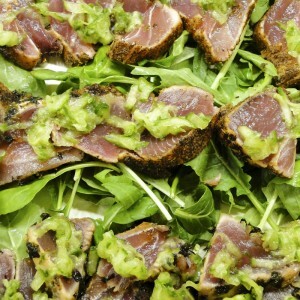 Add the ahi, grapefruit and avocado to the sauce and gently toss to combine. Cover and refrigerate until ready to serve. When you are ready to serve, gently lift the poke out of the sauce and place it in a small serving bowl. Discard the residual sauce. 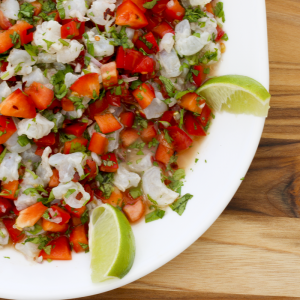 Garnish with a few leaves of cilantro, lime and chopped peanuts. Serve with One-Ton chips, tortilla chips or toasted baguette slices.